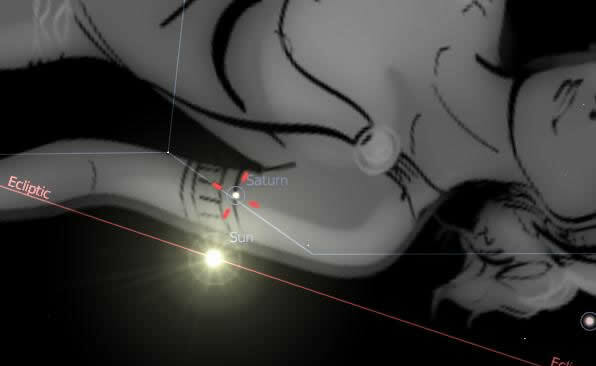 The configuration of note this week will be the conjunction of the Sun and Saturn on Thursday and Friday this week, which you can see graphically in images on this page. 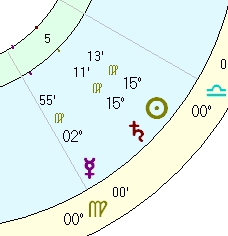 The conjunction will occur in the preeminently feminine sign of Virgo (sidereal zodiac), which I find to be prominent in the charts of notable feminine figures in the world. You can expect a distinctly muted tone to the day (Sept 30-Oct 1) and the temptation to give up, stop striving against seemingly insurmountable circumstances, or to just sort of “go crazy” for a bit. “Going crazy” might be looked at as a somewhat ineffective response to a feeling of powerlessness that intimidating circumstances can create in us. However the correct response to seemingly intimidating circumstances is to a. stay calm, b. not give up, and c. implement a carefully considered plan to resolve the situation. 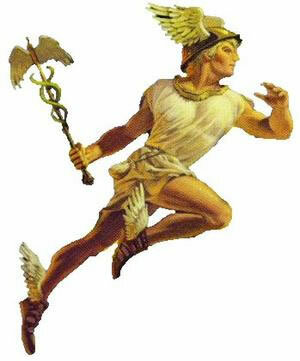 Saturn’s victory is not the decisive coup de grace such as with Mars, rather Saturn’s mode is to persevere to the end and remained focused on its goals which will then manifest over a period of time. Therefore the theme of Thursday and Friday this week, may be more sedate and resigned to the long haul. 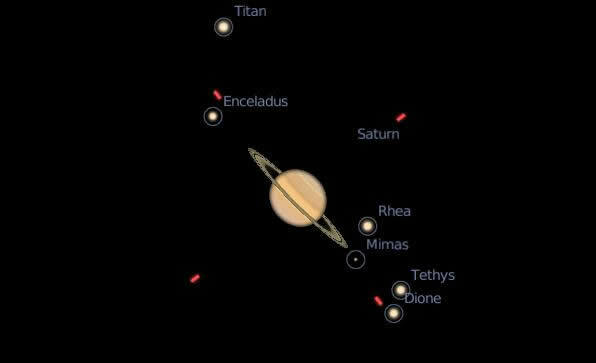 The following day, Saturday, October 2nd, looks much different as there are multiple contacts between more dramatically outgoing planets. So there could be a somewhat dark opening to the weekend, but midway through the excitement may mount causing all of the murkiness previously to be quickly forgotten. There is an interesting situation developing with Mars and Venus this week and next. This Sunday Venus and Mars will conjunct, but Venus right now is moving very slowly as it prepares to go retrograde on Wednesday, October 8. Significant relationship developments could manifest and hopefully some very nice things for many people.